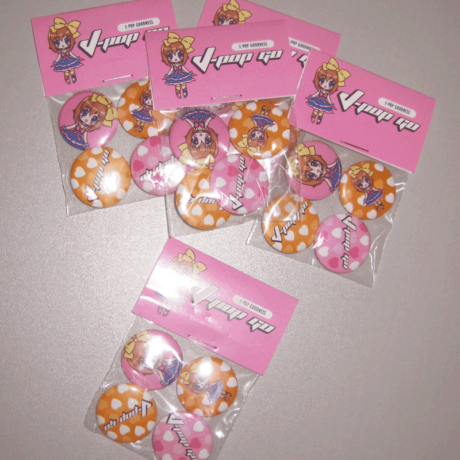 Say what you like about merchandise, but you can’t really go wrong with badges – particularly when they’re colourful J-Pop Go badges. 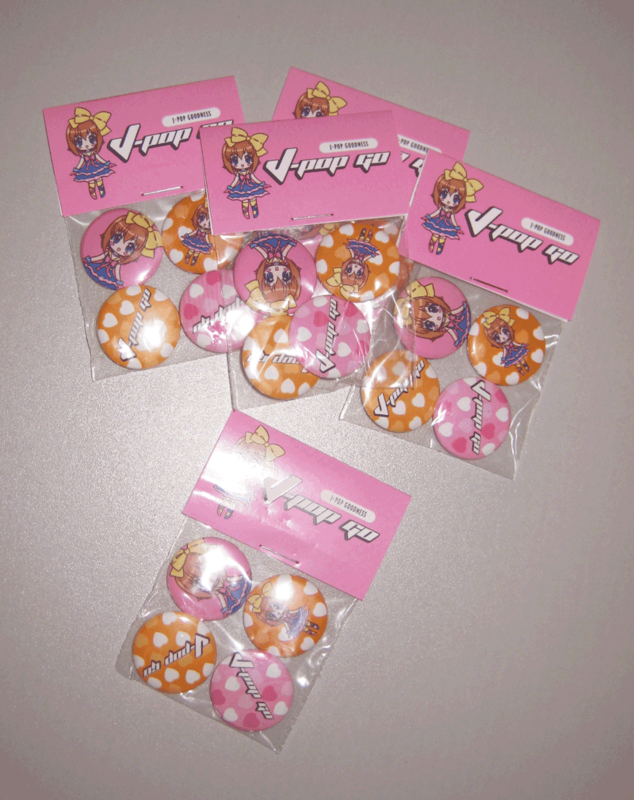 These 25mm pin badges feature 4 different designs as conceived by Arc23, including 2 variations on a wonderful chibi-style design of J-Pop Go mascot Eva by Wing Yun Man. 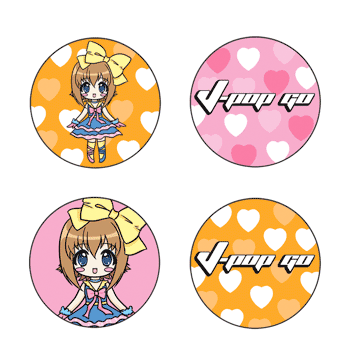 Plus, they come in a custom printed package with the J-Pop Go logo. Each badge pack features all 4 badges.